What in 2017 do you need to let go of? I believe we all have something God is asking us to let go of from last year. Goals not met, hearts left unchanged, prayers that weren’t answered the way we had hoped. Sometimes letting go is hard to do. Especially when God says “let go” and we’re just not ready. But the truth is, when He calls us to let go, we still need to obey. 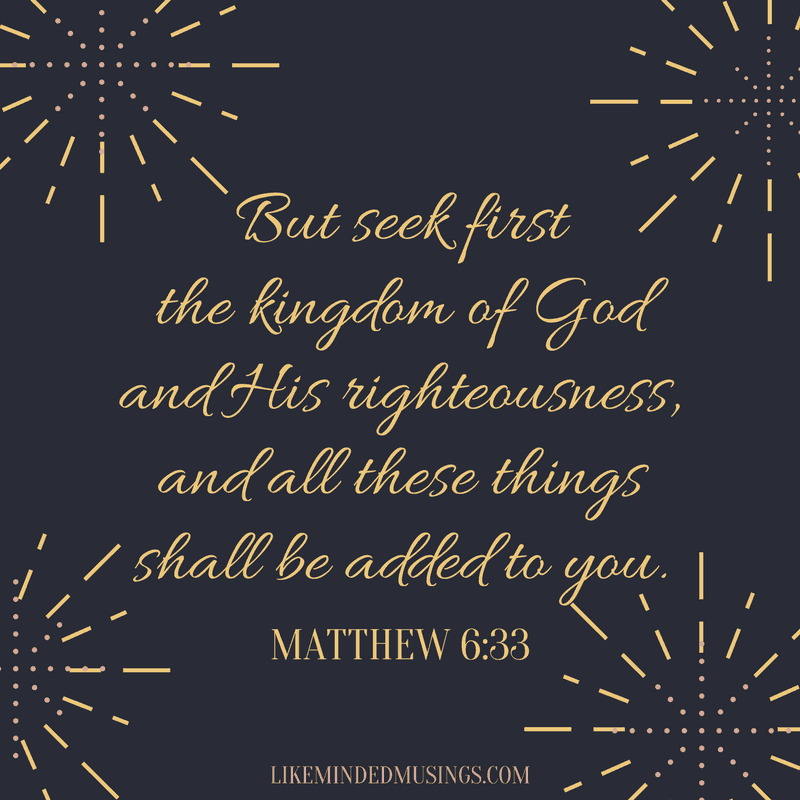 We can look to His word for the benefits or consequences in certain areas to remind our hearts. Anger, Unforgiveness, Mom Guilt, lack of His peace resulting Overwhelm and Shame are all things that He speaks of in His word. But what if it’s one of those “good things” that you aren’t ready to let go? Things that we don’t have the “why” to before we have to let go. And sometimes we won’t have the why until we enter Heaven. But God gives us a choice. We can choose to hang on or let go and obey. This is a something I have learned once again in 2017. From that place of learning, friend, I want to encourage you. Our God makes no mistakes. His plans for us are good. Whatever it is that He is asking us to let go, we need to trust that it is a path that will lead to HIS best for our lives. So as we say goodbye to 2017 let’s let go and let God work mightily in 2018! As I looked back over 2017 and His leading in this community I have been blown away. He has continued to reach thousands of other women each month through the blog, our private Facebook group, our Tween Girl Course, Pinterest, Facebook and our FREEBIES HUB created to encourage and equip you! He has united us in prayer and prompted you to share your hearts and needs with me. 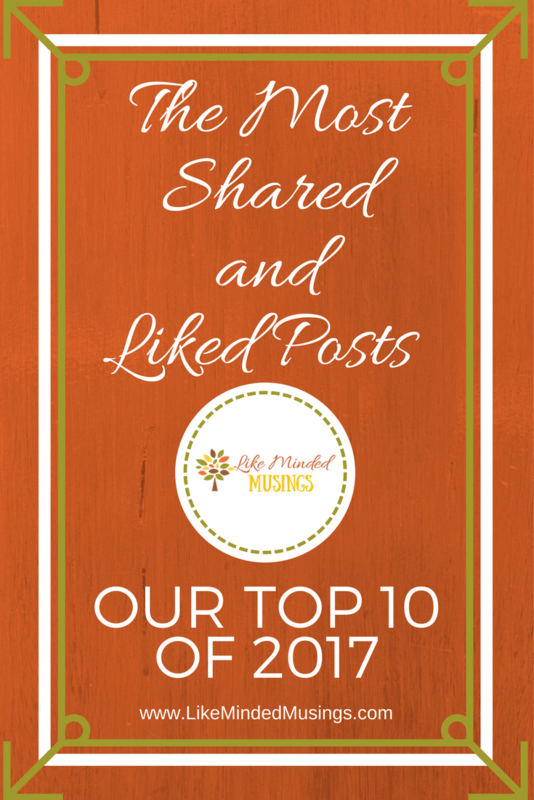 If you missed any of these, I encourage you to take a look and I pray that they bless you as we enter this 2018 strong! Speaking of starting off strong, I’ve prayed and processed thru this year, I believe God has directed me to my word for the year and my focus verse of the year. This is what will be directing me in 2018. So what about you? 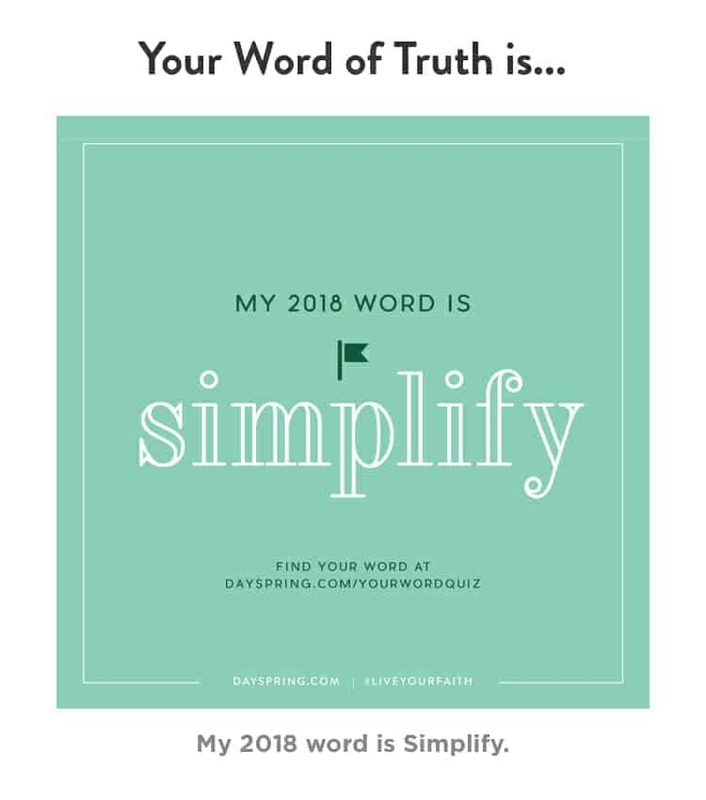 Do you have a focus verse or word of the year? Would you hit reply and share it with me? I would love to pray for you in it!! 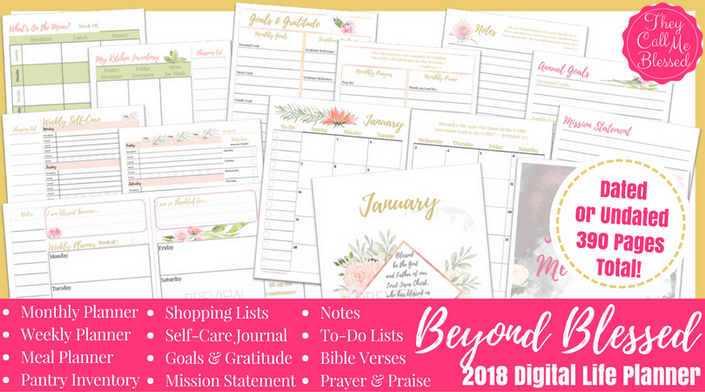 And if the thought of 2018 has you feeling completely overwhelmed, join me for the FREE 5-day ecourse – From Crazy to Calm Biblically! We Start Jan 15th. Click the pic for more details!! As always if there are ANY topics you could use help with, please send them in. I love hearing from you! PS Are you Planner Shopping? You won’t want to miss this incredible planner from my friend Ana of They Call Me Blessed! I’m just digging in and I’m already completely blown away by the Christ-Centered focus, her attention to include all of life’s details (goals, self-care, menu planning, water tracker and SO much more) not to mention it is incredibly beautiful! AND It comes in both dated and undated versions! Previous Post: « Stop Mom Overwhelm! 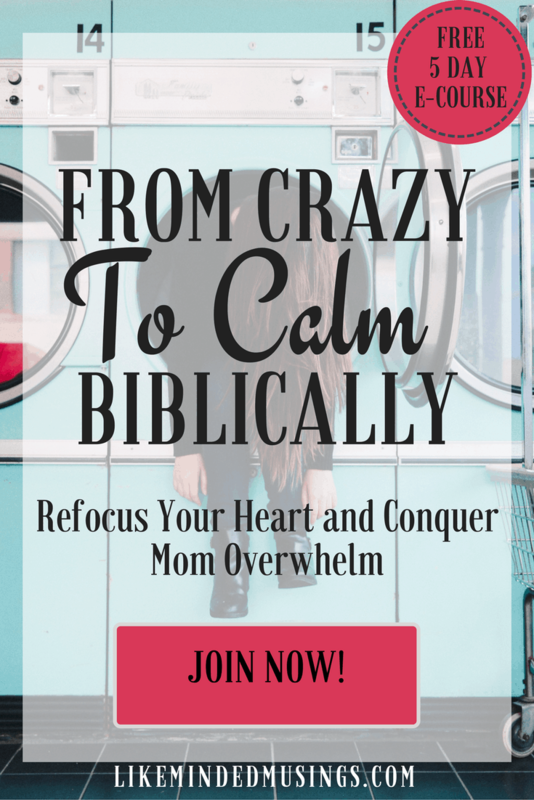 Join From Crazy to Calm Biblically a FREE 5 Day e-course!